I just had another very interesting week, very full. As I started reading Scroll VI of Og Mandino’s book, I feel emotionally charged and I change my emotions quite frequently. I look strange for my family members. It was never like that in my life before. Probably, with this course, I am changing so much, being in the process of letting my old self die. I also think I really need to learn to be the Master of my emotions. I appreciate a lot the proposal made by Mark J. to find space and time to spend 3 days in silence. It is much needed! My head is so full with all the things I learn recently. I need time to assimilate them, to digest them..I used to do that when I was young. I always appreciated to be alone and in silence. I could find myself. Then, all the commitments of work and family, did not make space for me to do that again. 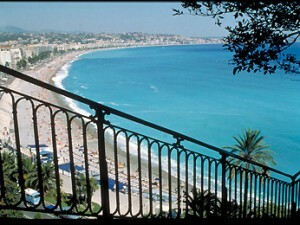 I then decided to book a flight for the weekend to Nice, my favorite place on earth, where I would like to live in the future and where I lived in the past. I could not believe how easy was to organize that. I immediately found cheap flights (amazing! Only few days before departure), I found a good hotel and a babysitter for my kids. Everything fell into place easily. Tomorrow, I will go…I am dreaming about that. To be alone and silent, meditating near the sea in the sun…walking around, searching for the perfect house I would like to live in…it will become my reality. It will manifest, I am sure. I will also take advantage of that moment to do a bit of cleansing and fasting, as spring is approaching and my body needs to heal, after the strong experiences of week 20 (see my post: fear really made me sick…). I decided to go away alone, because I know that with the kids I could not keep the silence…they are always calling me, asking thinks…impossible. Something strange happened this week: on Wednesday, I lost my voice. I could not teach yoga anymore. It is an interesting sign for me that I have to rest a bit and especially to be careful on how much I tend to use my voice and dissipate my energy. Time to recharge! I will relate about the experience of Silence in my next post. Stay tuned! I’m so impressed that you took action and jumped on the silence assignment. I’ve really enjoyed being on this journey with you, Chiara! And fortunately for us, it is just the beginning! I hope we can stay in touch. I am very happy to stay in touch with you. You are right, we are at the beginning!! it looks like a wonderful place to find peace and quiet! Yes indeed! I love it!! Perhaps once we will meet there Loucas…Thank you for your support. Have a great day! Thank you for your interest Jean! This is so amazing that you combined your DMP and your days in silence, it is just perfect. I believe that when we do what is right the universe is on our side and helps us with cheap tickets and babysitters. I experienced this every time I did what I was supposed to do. I am so happy for you that you did this, it is just beautiful. Really amazing!! This was really a nice opportunity for me. In my next post, I will talk about it..if I can (sometimes, it is just difficult to describe feelings..). Thank you for your nice comment.